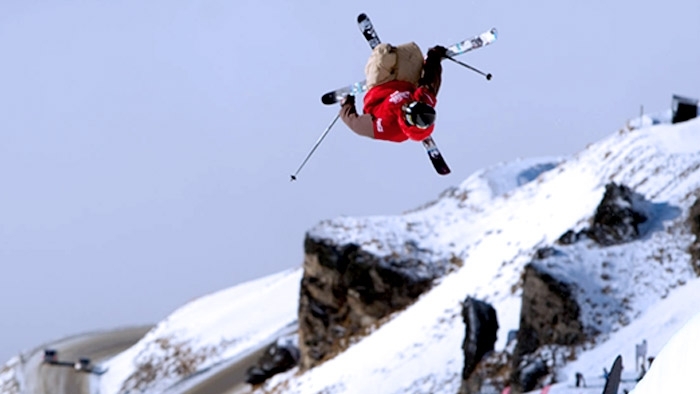 January 2, 2014, Vancouver, BC – Halfpipe skiing will make its Olympic debut next month and Canadian Mike Riddle is on track to bring home a medal. After confirming his spot on the Olympic team at the Dew Tour in Breckenridge last month, his focus is now set on winning at the Winter Games in Sochi. Riddle was last year’s Crystal Globe winner (1st overall on the FIS World Cup circuit), finished 3rd overall on the AFP (Association of Freeskiing Professionals) world tour and was the 2011 FIS World Champion in Halfpipe, making him a favorite to bring home a medal. With eight weeks to go, the Edmonton native has a rigorous schedule on the horizon including a World Cup in Calgary, three US Freeskiing Grand Prix Events, X Games and a training camp in Europe where he will have the opportunity to fine-tune his run. Canada will be watching as halfpipe skiing makes its debut at the Winter Olympic Games in Sochi, Russia on February 18, 2014.